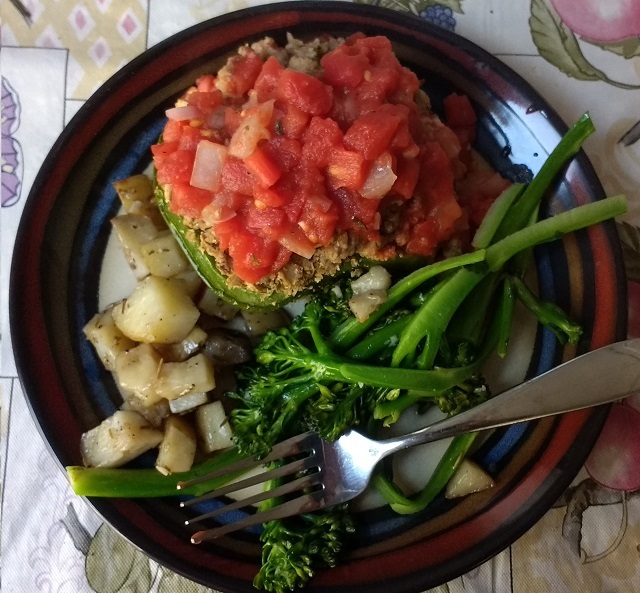 Lentil-Walnut Stuffed Peppers, Garlic Baby Broccolini, and some leftover Rosemary Potatoes. I came up with this recipe because I was really craving peppers and needed some comfort food. The tomato sauce was improvised on the spot because I thought that the peppers needed a little something extra. My husband (who doesn't normally like stuffed peppers) was going back for seconds. The broccolini just looked really good at the store, so I decided to experiment with it and I really enjoyed the results! Note: These came out really packed! If you want less filled (but still quite satisfying) peppers you could easily increase the number of peppers to 3 (increasing the yield from 4 servings to 6). Heat 1 TBSP oil over medium heat in a frying pan. Add in half of the chopped onions. Cook until translucent, about 2-3 minutes, stirring occasionally. Add half of the garlic. Cook, stirring, one minute. Put the lentils in the pan. Remove from heat. Mash with a fork or potato masher. Add in the walnuts, breadcrumbs, pinch of salt, 1/2 tsp basil, & 1/2 tsp parsley. Stir thoroughly to combine. Stuff peppers with the mixture and place on a cookie sheet sprayed with nonstick spray or olive oil. Bake for 25-30 minutes, or until the walls of the pepper are tender, but not mushy. While your peppers are in the oven, heat the remaining olive oil in a saucepan on medium heat. Add in the remaining onions. Cook, stirring occasionally, 2-3 minutes, or until translucent. Add the rest of the garlic and cook another minute. Stir in the tomatoes (including the liquid), remaining basil & parsley, and a pinch of salt. Cover and reduce heat to low. Simmer for 10 minutes. Pour over the tops of finished peppers. In a medium saute pan, heat oil over medium heat. Add the garlic and cook 1 minute. Stir in broccolini, try to coat the veggies completely in the garlicy oil. Add the water & salt. Cover, and simmer on low for about 10 minutes, or until the broccolini is just tender. 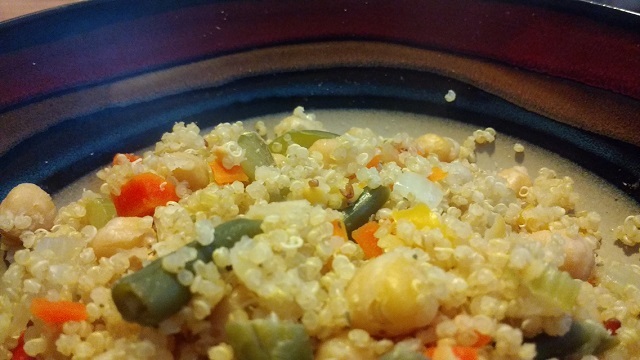 Chickpea-Vegetable Quinoa (Vegan & Gluten Free) An easy, quick, one pot meal for everybody! Quinoa is an amazing grain. It is a great source of protein and cooks up really quickly compared to other whole grains. This recipe is almost as simple as making quinoa from a box (but you get to control what goes into it!). This would make an excellent weeknight meal when you are almost too tired to cook. You start off by sauteing the onions in a little olive oil. 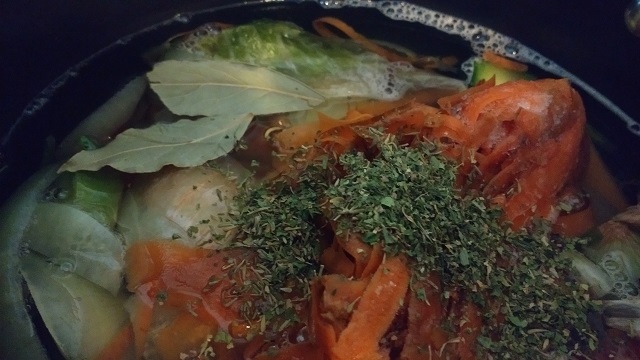 Then you add the fresh and frozen veggies into the pot and cook them until tender. Then you stir in the seasonings, quinoa, and water. Cook for about 20 minutes, and your done! Directions: Heat the oil in a saute pan over medium heat. Add the onions, and cook until translucent, about 2-3 minutes. Add in the carrots, salt, & pepper. 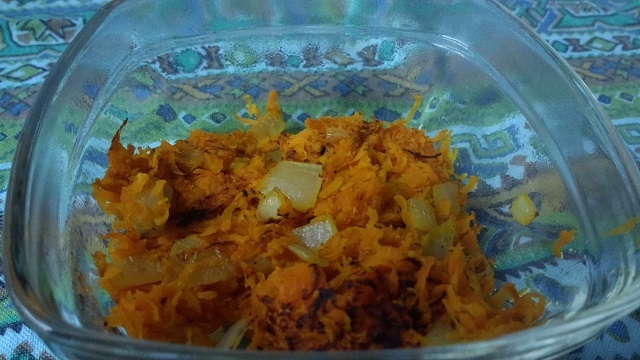 Reduce heat to low, and cook, stirring occasionally for about ten minutes or until the carrots are tender and just start to brown. Serve with any breakfast food you like!